Grants will be awarded to British companies to work with international partners developing satellite technology to tackle issues like flooding, deforestation and humanitarian crises in emerging economies. These grants will be match-funded by industry. The UK space sector continues to thrive, growing at over seven per cent a year and is currently worth £11.3 billion to the UK economy. With over 5,000 jobs created in the last two years, it employs over 34,000 people and supports a further 72,000 jobs in other sectors. The ‘International Partnership Space Programme’ (IPSP) will run over two years and will support UK companies to become trusted partners to provide high-tech exports, thereby growing the UK space sector and creating jobs. Announcing the money as part of a visit to Airbus Defence & Space in Stevenage, Herts, today, the Universities, Science and Cities Minister Greg Clark, said: “Rosetta captured the world’s imagination and the mission is a real testament to British engineering and technological expertise. I am very proud that a major part of the Rosetta platform was built in Britain here at Airbus. “UK space companies are an engine for growth for the UK economy and this programme will support our ambitious target of achieving 10 per cent of the global space sector by 2030. 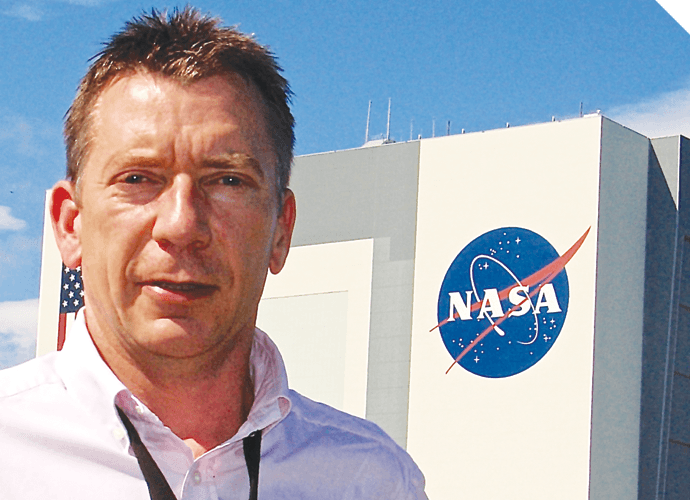 Greg Clark toured the Airbus facilities with the European Space Agency’s first British astronaut, Major Tim Peake. During the visit they met with engineering apprentices to hear about types of careers in the space sector and promote the #YourLife campaign, which encourages students to take up careers in Science, Technology, Engineering and Maths (STEM) subjects.